The more control employees have over their own workspace, the more satisfied they tend to be with their work environment as a whole. Task lighting is one type of workstation customization that can brighten an employee’s mood while making it easier for them to see what they’re doing. 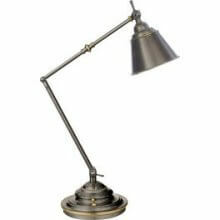 An articulated or otherwise highly adjustable task lamp is a helpful tool. But you can run into problems when one employee’s lamp casts a glare in a neighboring coworker’s eyes or on their computer screen. Desk mounted privacy panels provide a shield against this unwanted illumination. So, don’t keep your workers in the dark by forgoing task lighting – just add some panels to help keep the light where it belongs!